Marvel announced today that nine new films will be added to their movie slate up until at least May 2019. A liveblog from the El Capitan theater broke the news. Everything on the list has been rumored about prior, but seeing it announced officially is oh so satisfying. Check it out. Additionally, it was announced that Scott Derrickson will direct Doctor Strange. According to Feige, Ragnarok means “the end of all things.” There have been many characters to don the title of Captain Marvel, but this rendition will be Carol Danvers. Chadwick Boseman to play Black Panther/T’Challa. 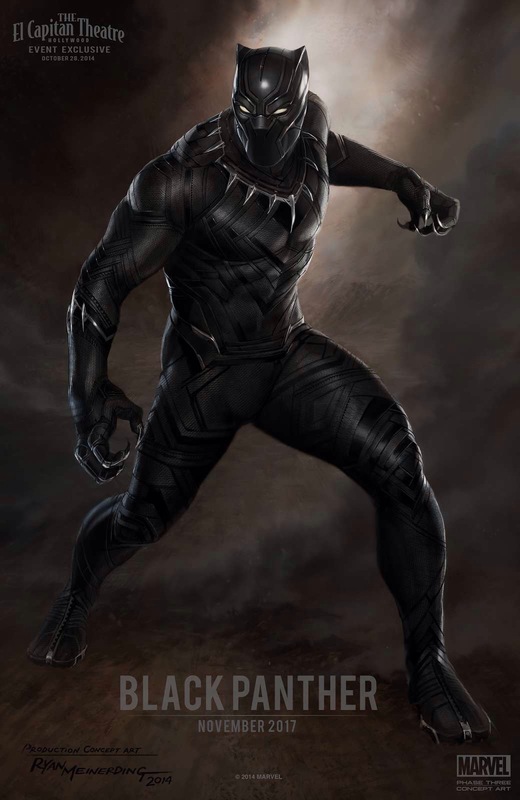 Here is a conceptual poster for Black Panther, who will appear in full costume during Captain America: Civil War. Was hoping for announcement of Sony allowing Spidy to be an Avenger. Wondering how much the crew from these upcoming Netflix series well be involved in the terrestrial movies. Also shocked…. No Nova movie announced. Another surprise. Well your wish is granted, in spades. Most likely she’ll show up for Avengers: Infinity War Part II, seeing that her movie takes place between parts 1&2. Ooh! I hope so! With Doc Strange, Black Panther and the Twins, they could make up an entirely new Avengers roster altogether. I’ve heard that name thrown around elsewhere, so I’m sure Marvel’s considered it. I wonder if they’ll go younger. Ten years ago Sackhoff wouldve been perfect, and Captain Marvel wont be arriving for another 4. She’s gorgeous. Just looked her up. Another choice I highly agree with. ‘Specially toe nails. Nasty lookin’ if too long, eh? Unless one is a bird of prey, of course. I highly second that thought. Also, it’s worth mentioning that Marvel went on the record to say that if Benedict Cumberbatch was a done deal, they would’ve announced it at this event so it should be taken with a grain of salt, just like every other actor announcement for that role. And considering they’ve already announced Chadwick Boseman as T’Challa, I don’t think they’d hide Strange’s actor. As for this lineup, it looks really, really strong. Glad to hear that it’s Carol Danvers that will be Captain Marvel. Also, I think this means that nothing we’ve seen yet are Inhumans, seems weird to me to introduce them now then wait an additional four or three years to give them a solo movie. Seems more likely they’ll be revealed at the end of Avengers 3: Part 1 then play a huge part in Part 2. Finally, a bit worried about three movies a year thing because we’re quickly filling up on super heroes. Between series and Netflix and cinema, feels like super heroes are dominating a bit too hard and that might end up working against them a few years down the line. Yeah. I wrote a piece not too long ago. We’re getting flooded with superhero movies, after the success of Avengers. And unfortunately it’s almost a necessity for Marvel at this point, seeing that they need to push more films out to keep up with their old titles and also continue adding new ones. 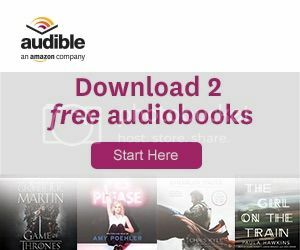 Marvel has stated that by 2020 we could very well be getting 4 a year! Marvel is currently the only company that can realistically meet that quota just yet, but with other companies taking away from their stock by throwing their films into the pot it might bite them. It might, but if the caliber of their future films is as good as what we’ve been getting, I’d go see a friggin’ Marvel movie every week. This, to me, is an old time comic book geeks dream come true. Never could I imagine all these heroes on the big screen in such a completely believable way when I first started collecting comics in the early 70’s. Negative thoughts be damned. This is a unique wonderful time to be a comic book geek, and if it ends, like all things do, we’ll have had THIS to remember it by. And for me, I couldn’t ask for more. Yeah, when this is all over it’ll make for one hell of a movie shelf. It already does. Marvel movies are the pride of my blu-ray collection. Ragnarok, Strange, Civil War and Infinity War are definitely must watch movies for me. I don’t really know anything about the Inhumans, and I still haven’t seen Guardians of the Galaxy yet, though I expect to love it. Captain Marvel’s going to be okay, but I’ve never been a fan. Black Panther, I’m wary of. BET had a Black Panther cartoon a while back, and it was disgustingly racist at times. Took all the fun out of the show. I really doubt they’ll do anything similar here, but it did make me aware of what’s possible with his character in particular; I’ll wait to hear what sort of treatment they give Black Panther in the movie before deciding to watch or not. Apparently he’ll show up in Civil War (Black Panther that is). You can’t miss Guardians. Seriously an excellent film. I’m in the same boat with Captain Marvel and Inhumans though. This news has me excited. Really interesting in the split of the 3rd Avengers movie — as there are movies in between, so really that year should be one long Avengers movie, lol. Yeah, gosh. I cant wait. Marvel continues to set the standard, actually to create the standard, for superhero movies. With this line up, Marvel continues to build up its cinematic universe adding new and exciting characters at every turn. I see the Infinity War as a reuniting of everyone who once was an Avenger. They put aside their differences to fight against Thanos. 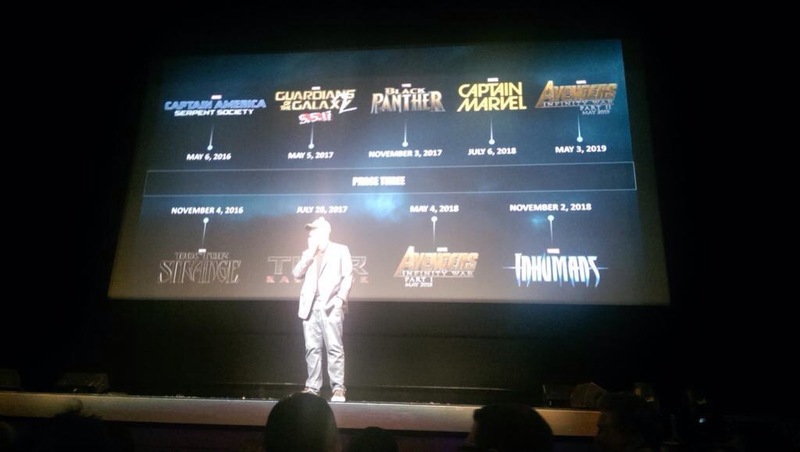 AoU starts the Civil War, Cap 3 continues it, and by Pt 2 of Infinity War we have a reason for the screen to be occupied by ALL the Avengers as well as TGoTG and maybe an Inhuman or 2. Avengers movies can now come out regularly with different lineups for each film, just like in the comics. Sony needs to hop on board with Spiderman, or let the character revert to Marvel, because they’ve mucked that character up too much on their own, and it is inexcusable. I can’t wait to see these. Yeah, its all extremely exciting. What an announcement. I seem to recall researching Ragnarok a while ago for something. If I remember correctly, it’s a worldwide flood that will end the current world, and begin a new world. Which will be interesting if it’s just a Thor story, since other characters would inevitably be involved if that’s what it is. But which of the nine realms will ragnarok take place on?